At one point during our conversation, Varun Dhawan admits, "Doing less film promotions is a new thing for me. Shoojit Sircar wanted to maintain the integrity of the film and said 'let the art speak." October is a different space for the young lad who has a string of back to back box office successes. But the actor confesses that he doesn't shy away from approaching filmmakers for work and says that he needed a film like October for his own creative satisfaction. A. It's a different feeling. Working with Shoojit Sircar is like working under a good captain. When you are working with him, you forget that you are a star. The first thing what he told me to do was to speak in a low voice. He made me calm down. Q. Did the film remind you something from your personal experience when you were shooting? A. Not just me, everyone will relate to October which is inspired by many real-life stories from our daily life. 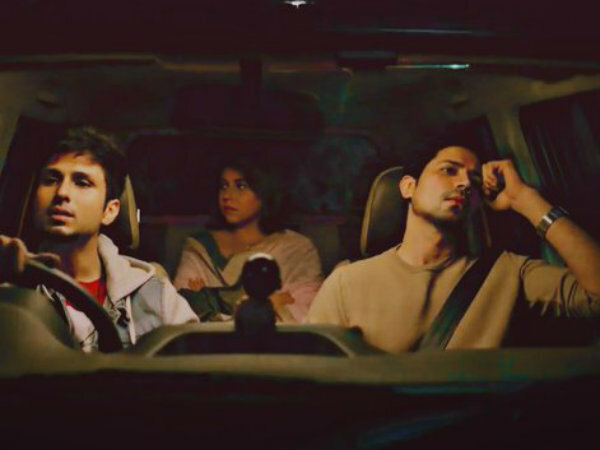 The film also talks about the importance of spending time with other loved ones when it comes to relationships. Today everything has become so much technology-based. You send a whatsapp message or an emoticon to show your emotions. In fact, my character Dan doesn't use a mobile phone throughout the film. Q. From Student Of The Year to Judwaa 2 with a 'Badlapur' in between to now October, has this experimentation with genres been a deliberate one? Shoojit Sircar said that it was very brave of you to take up a character like this one. A. An actor is always hungry for challenging roles and I needed a film like October. Creative satisfaction is very important for an actor. If I was money-minded, I would have taken a '9 to 6' job. After doing a couple of films like Badrinath Ki Dulhania, Judwaa 2, I couldn't see myself cracking jokes and smiling on the screen. Q. You are the only one from your contemporaries who has strike a fine balance between commercial films and the off-beat ones. How do you manage to do that? A. Before I jumped into acting, I wanted to own a TV channel where I could host my own TV show and interview people from the film industry; something like what Shekhar Suman used to do. You can say I wanted to become a kind of entertainment journalist. Slowly, I realized that I wanted to play a hero, a villain, do drama and comedy. Now I think myself of a studio who wants to cater to different tastes of the audience. I am a big cinema buff. Q. You said that you approached Shoojit Sircar for this film. It's very unlikely of an actor to do that. Are you trying to change the trend? A. I am not yet a superstar like Shahrukh, Salman or Aamir Khan (laughs). I was always approaching directors for work right from my second film. I think a lot of other actors also do that. A director likes it when an actor especially a new one believes in his cinema. I understand the psyche of a director since my father and brother too make films. An actor needs to know the correct way of approaching film-makers. You can't throw around an attitude. At the end of the day, the director is the boss. Q. What has kept you grounded despite of all the stardom and success? A. I believe that if you listen only to your mind, then you would be giving only calculative reactions. Instead, you should always listen to your inner voice. Q. It is said that stardom comes with a price. What price did you had to pay? A. I think time. It find it difficult to give enough time to my near and dear ones. I miss doing the normal things. I feel bad when I don't get to spend enough time with her. I can see that she's having a hard time with my long absences. Q. How did you father react when he learnt that you are doing October? A. My father watched the trailer seven times back-to-back and then he told me that he really like it. He's a big fan of Hrishikesh Mukerjee. I never told me that I was doing this film. There was no discussion. I called up my manager and told her that I am doing this film no matter what happens or what I get. Q. Recently Tiger Shroff told us that he wants to have a niche of his own and be known as an action hero. How do you want people to recognize you? A. I want people to recognize me as an actor. We never say that Aamir Khan can only do a Dangal. He can also do films like 'Ghajini' or 'Joh Jeeta Woh Sikander'. Even Irrfan Khan has done a 'Hindi Medium' and a 'Pan Singh Tomar'. If I am a good actor, I should be able to do comedy and even an action film. At the end of the day, an actor is only playing a character. I want my forte to be known as an actor who can do everything well. Q. October is a story about love. How has your perception or idea about this emotion changed? A. It's changed 360 degrees and I hope it happened to everyone. It's gone back to what it should be or was. The meaning of love has changed today with the advent of technology. It's become such an abused word. But now, I used this term only if I love something. Q. Is Varun in love in real life?